American superhero comics have a problem with race, and especially with their own overwhelming—albeit often unspoken—whiteness. Recent decades have seen increasing interest in diversity of all kinds from comics publishers, and in the past few years comics scholars have sought to provide histories and critiques of race, racism, and their representation in comics. Through monographs, anthologies, journal special issues, articles, and conference presentations scholars of U.S. superhero comics have addressed a breadth of issues regarding how black, Latinx/Chicanx, Jewish, Muslim, Asian American, Native American, Middle Eastern-North African, and other ethno-racial and ethno-religious identities and histories have intersected with the figure of the American superhero—a figure that, from its own inception, has traditionally been used by comics creators and in public discourse to represent white masculine prowess. Whiteness and the American Superhero addresses a key lacuna in the way that race, superheroes, comic books, and the matrices of American culture and history have been previously discussed by finally turning attention to the role that whiteness has played in superhero comics’ narratives and histories. In particular, the collection brings together chapters that address the whiteness of American superheroism and the assumptions (and possibilities) of the racial makeup of the superhero figure from the late 1930s to the present. This collection invites scholars to participate in demonstrating, historicizing, and challenging the operations of whiteness across the range of superhero comics produced in the 20th and 21st centuries in the United States. We welcome chapters that look at superhero narratives as well as at the production, distribution, and audience and reception contexts of those narratives, in order to highlight the imbrication of forces that have helped to create, normalize, challenge, and even subvert ideas about whiteness and race in U.S. superheroes. At the same time, we seek papers that challenge any normativizing language, and the (political) assumptions embedded therein, in this proposal or the title of the collection. For example, “American Superhero” erases the superheroine, suggests that to be super is to be a man, and by extension conflates superheroism with masculinity, (U.S.) nationalism, whiteness. Strong submissions will consider the co-constitutive nature of identity, representation, narrative, production and consumption, and historical and cultural contexts in forging ideas about who gets to be American and who gets to be a superhero on the four-color pages of U.S. comic books. If you have questions about the fit of any particular topic for the collection, please do not hesitate to contact the editors. Abstract submitted for consideration are due by April 1, 2017. They should be 200-250 words in length, and include a tentative title and brief bio of the contributor(s). Please send your submissions simultaneously to both editors at p.martin.lund@gmail.com and guynesse@msu.edu with the subject line “Last Name Whiteness Chapter Submission.” Selections will be made and notifications emailed by April 15, 2017. Full chapters of 5,000-6,000 words will be due by July 15, 2017. The book proposal will be sent to prospective publishers by August 1, 2017. 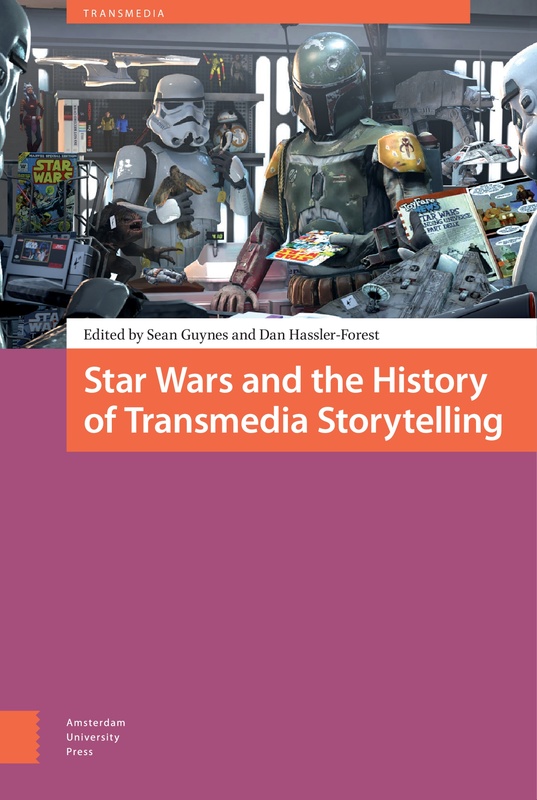 Sean Guynes is a PhD student in the Department of English at Michigan State University, editorial assistant to the Journal of Popular Culture, and co-editor of the forthcoming Star Wars and the History of Transmedia Storytelling (Amsterdam University Press, 2017), as well as author of several articles on U.S. comics history. Martin Lund has a PhD in Jewish studies from Lund University (no relation). He is an editor of the Scandinavian Journal of Comic Art, co-editor of the forthcoming Muslim Superheroes: Comics, Islam, and Representation (ILEX Foundation/Harvard University Press, 2017), and author of Re-Constructing the Man of Steel: Superman 1938, Jewish American History, and the Invention of the Jewish-Comics Connection (Palgrave Macmillan, 2016) and of several articles about U.S. superhero comics, their history, and their politics. The editors have already contacted university press editors regarding the collection, and will submit a full proposal after all first drafts of the accepted chapters have been received. Whiteness and the American Superhero will only be submitted to university presses that have established reputations for publishing on comics. *The header image includes art by Frank Quitely from New X-Men.